Designed specifically for serious duelists, and embodying a great deal of flexibility in the types of swords it can handle, the Adventurer's Frog is also great looking and promotes a lightning quick draw. Made with a beautiful heavy leather, this scabbard is formed specifically to fit most of the Knighthawk Armoury line of swords, and is hand-stitched for exceptional durability. 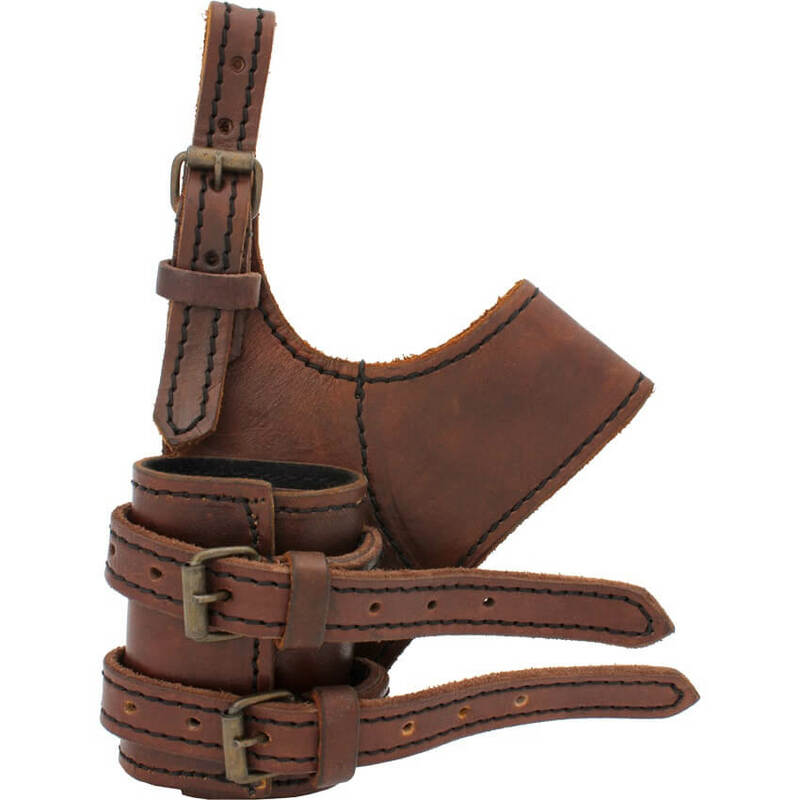 Crafted from fine quality leather, this sword frog offers a duo of belt straps for a stable and secure mount as well as a buckled loop for supporting your sword at your side. Adjustability ensures that your sword is as snug or as loose as you need. 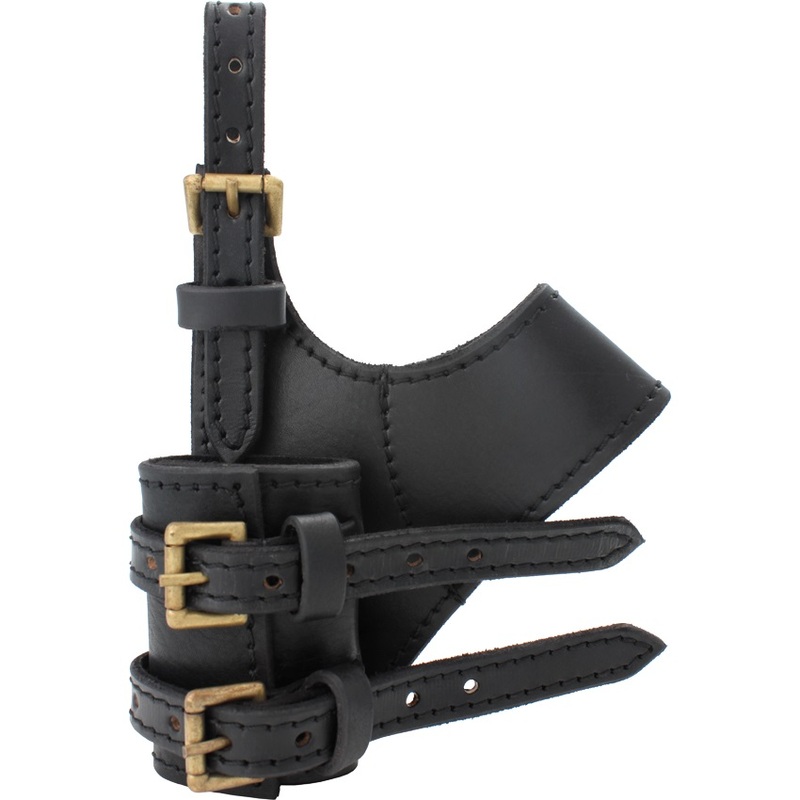 The Adventurer Sword Holder fits easily onto most belts and is a must-have addition to any LARP look or gear arrangement, especially if you plan on carrying your sword at your side!